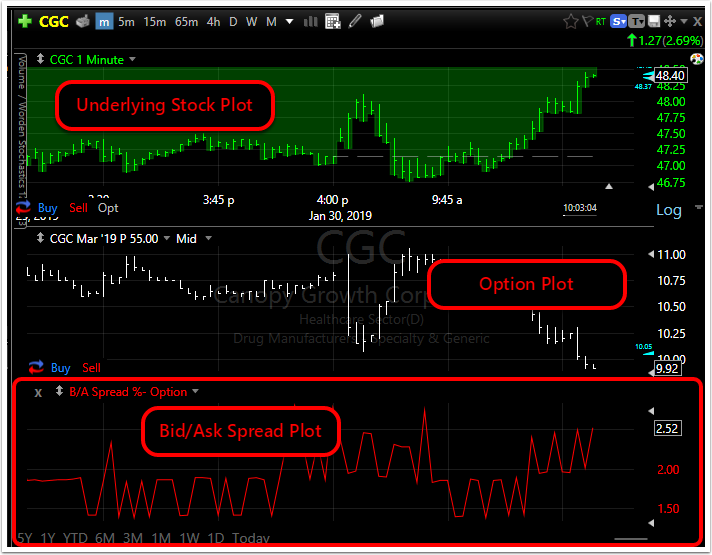 You can now add the Bid/Ask* spread as an indicator for Option charts to see the history of the Bid/Ask movement in any time frame. 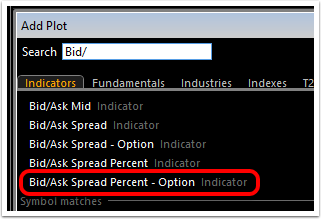 To plot this indicator for an option, make sure you have an option selected from your option chain. 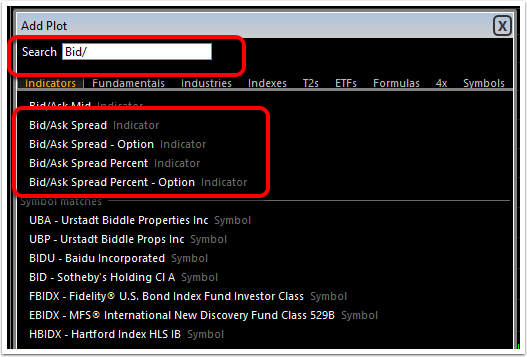 Click here for more on viewing option chains and charts.